The red circles look like bomb splats in an illustrated history of World War II. They begin on the eastern edge of the city near the Ferry Building and spread westward along Market Street. The graphic is a map of “Tech Hot Spots” printed in the San Francisco Business Times (21-27 February 2014). Each circle represents one of the fifty largest technology companies in the city, the size of each circle determined by the number of the company’s employees. The largest tech employer, according to SFBT, is Salesforce.com with 4,000 employees as of January 2014 (an increase of a thousand from one year earlier). Currently located in the historic Southern Pacific building at One Market Street, Salesforce has plans to occupy a twenty-seven-floor tower at 350 Mission across from the new Transbay Terminal in 2015. “Do you know,” exclaimed an elderly venture capitalist over lunch in the Garden Court at the Palace Hotel on New Montgomery Street, “within a ten-block radius of where we are sitting is the cloud computing center of the world?” He would know; he’s been backing tech start-ups since 1984, incubating at least one hen house full of millionaires. . .and probably a few empty ones. A smaller grouping of red circles on the SFBT map near AT&T Park on Third and King streets covers Multimedia Gulch, the major hub for start-ups during the first dot-com boom of the 1990s. Back then, in the relatively innocent days of the digital Neolithic, San Francisco was a boutique outpost hovering beyond the northern border of the Silicon Valley heartland. Today “The City” itself is becoming a major digital epicenter or an annex of Silicon Valley, depending on your perspective—some maps of the Valley, defying geography, extend all the way to the Golden Gate Bridge. The headline above the bomb-splat map reads: “TOO MUCH OF A GOOD THING?”A subhead notes that “as tech firms and tech wealth become subjects of controversy in San Francisco, those who remember the dot-com bubble worry about the city’s breakneck pursuit of tech jobs.” So what of the tech sector and its bubbles? By all accounts, the first one burst in 2000 when the NASDAQ crash brought the first dot-com era to a close. While the global financial crash of 2008 and the resulting Great Recession initially slowed job growth in Silicon Valley, the meteoric rise of smart phones and social media helped the tech industry as a whole to power ahead despite the near collapse of the global economy. It is unclear (and probably irrelevant) at this point whether the events of the last several years place us in the middle or at the end of a technological era, but the irrational exuberance that appears to be driving contemporary investment in technology companies is inspiring more and more questions about whether the tech sector can sustain current levels of expansion or if we are headed for another bust. Consulting Google, the oracle of the Internet, indicates that there is little in the way of consensus regarding the possibility of a tech boom/bust scenario playing out in the near term. The first page results of a search for “tech 2.0 bubble” include articles and tweets from the Wall Street Journal, Business Insider, Forbes, and CNET. A Wired article entitled “Will 2014 Be the Year the Tech Bubble Bursts?” is mostly sanguine, claiming that the market’s standards for viability have increased since the 2000 bust and citing Twitter (revenue but no profit) as the model for the new public tech company. A brief entry further down the page from the open source, pseudonymous online journal Zero Hedge (tagline: “On a long enough timeline the survival rate for everyone drops to zero”) points out that of the tech companies that went public in often wildly lucrative IPOs in 2013, 73 percent have never turned a profit, compared to 27 percent in 1999. 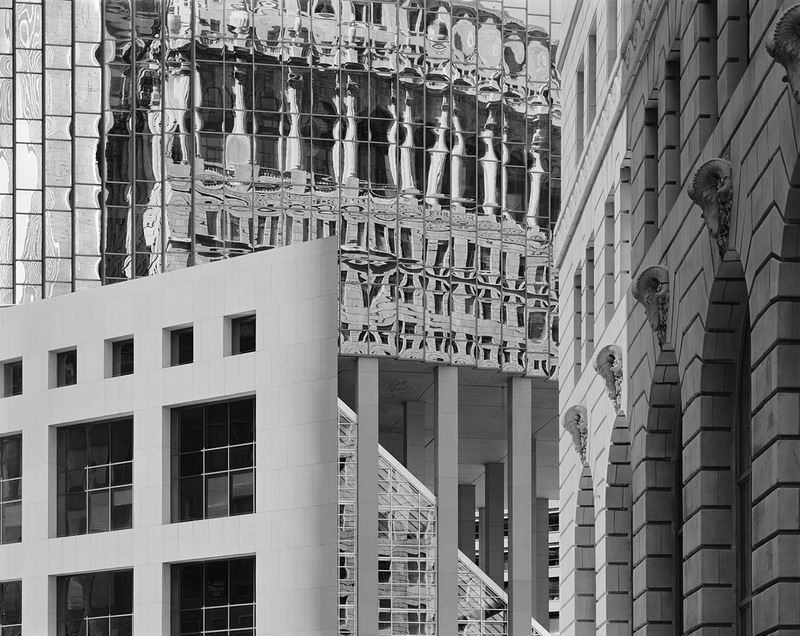 First Street and Market Street by Leo vanMunching. Beale Street and Market Street by Leo vanMunching. 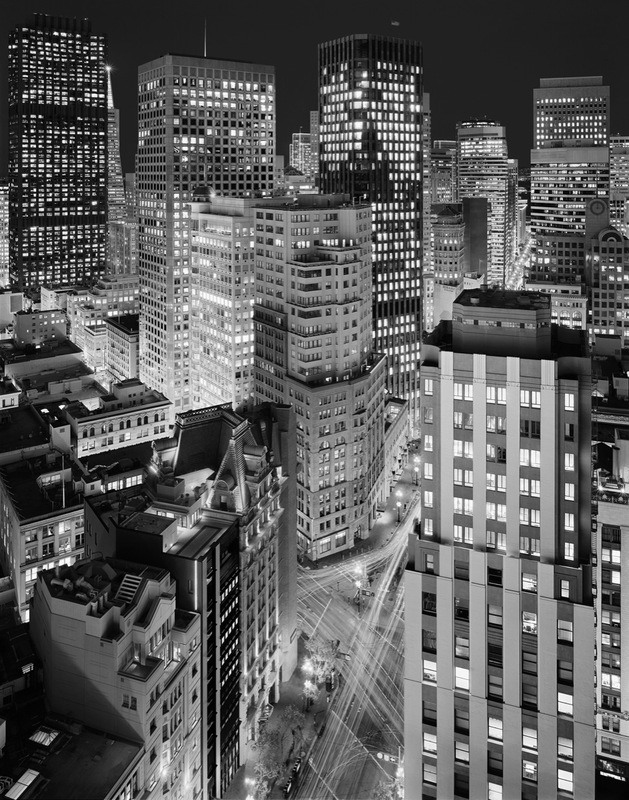 A more urgent question may be: what might happen to San Francisco if current trends continue? The new tech workers settling in San Francisco (and adjacent communities such as Oakland, slated to become the Brooklyn of the West Coast) are mostly young, predominantly male, and if 2010 Census records for the Silicon Valley workforce hold true, almost evenly split between white and Asian, with Asians (both American born and immigrant) a slight majority. They are well educated, well paid, well connected, and often regarded by locals as the vanguard of an invading army (“local” being a relative term when only 37 percent of San Francisco residents were even born in California, according to the 2010 census). If you read the Bay Area press or local blogs, techies are the people fueling the astronomical leap in San Francisco’s housing prices, inspiring property owners to evict long-time tenants in order to flip rental buildings or convert them to condos, and making the city the most expensive in the country with rents rising 10.6 percent over the past year, three times the national average. Techies are clogging city bus stops as they line up to wait for enormous private buses with blacked out windows to wheel them off to their destinations in Silicon Valley—Google, or perhaps Netflix, indicated only by discretely placed signs the size of large index cards—where their employers provide luxurious perks such as free gourmet meals (organic, natch), haircuts, massages, and on-site medical care. In addition to the programmers, developers, and other highly skilled workers dependent on the current boom in San Francisco, the rise of tech has helped create a class of service workers who make their often meager livelihoods catering to the techeoisie’s preference for fine living. Most visible in the city’s abundant cafes and restaurants, members of the new service class—whether tattooed and pierced artistic types or newly arrived immigrants—provide the amenities, from serving lattes and waiting tables to cleaning houses and caring for children and pets. Second Street and Mission Street by Leo vanMunching. Being a classic Western booster journal with little interest in critical examination, the SFBT’s answer to the chatter about a new tech bubble is don’t worry; come west, young men—or east from Asia as the case may be—and let the money roll in. This is The City’s siren song, born in the days of the Gold Rush. Others are less confident in the staying power of this latest in a long series of booms that have marked the history of the California economy. In his January 2014 State of the State speech, once and future governor (and former seminarian) Jerry Brown harked back to the Book of Genesis to warn Californians against taking good times for granted. Brown has been credited with bringing the state’s budget—laid low by the Great Recession of 2008 and the decline in tax revenues caused by the exercise of tech company options, among other things—under control. As the scion of a California political dynasty that dates back to the invention of the microchip, however, Brown has been around long enough to know that in these parts change—often rapid change—is the rule rather than the exception. Back on the Right Coast, New York Times Bits blogger Nick Bilton (24 November 2013) points to the NASDAQ composite index, which has soared above its highest point since the first tech boom ended, and notes that Twitter is losing money: “A price-to-earnings ratio? There is no E in the P/E. But its stock is trading at twenty-odd times the company’s annual sales.” Is Twitter really the new model for a viable tech giant or will it become the canary in the digital coalmine? The company is currently the darling of The City’s political establishment, headed by former mayor Willie Brown and current mayor Ed Lee. Encouraged by a payroll tax break worth an estimated $56 million, Twitter recently moved into the empty Merchandise Mart on Market between Ninth and Tenth Streets, leading some to question whether San Francisco politicians are in the business of feeding the bubble, funding gentrification, or building the local workforce by reducing taxes on wages and options for the 1,500 jobs that Twitter brings. How will Twitter’s presence impact low-income residents of the Mid-Market area and the Tenderloin, which some wags are already calling the Twitterloin? While the city’s tax break deal included provisions that encourage “good faith efforts” to hire locals, there is no binding agreement compelling Twitter to do so and, not surprisingly, the company appears reluctant to engage in the kind of substantial outreach that would prepare Mid-Market residents for entry-level positions in its workforce. Is Wall Street going sour on tech? According to Bits blogger Bilton, when Bloomberg surveyed Wall Street investors, “roughly half said that the bubble was here or soon to be.” In Silicon Valley, they say there is no bubble, just gas pains at the birth of a brave new world. We don’t claim to be economic prognosticators, but as we gaze upon the hoodie-clad masses strolling by clutching their sushirritos and their burrotis from our perch here in the “cloud” at Third and Market streets, it’s tempting to think about history and wonder what might trigger California’s next bust. Anyone who grows in a city with schools that require regular earthquake drills knows that The Big One could happen at any time. The Loma Prieta earthquake of 1989 registered a mere 6.9 on the Richter scale, but it severed the Bay Bridge, flattened a section of freeway in Oakland, and killed sixty-three people. What would an event on the scale of the earthquake and tsunami that destroyed the Fukushima nuclear plant (9.0) or the 1960 Chilean earthquake (approximately 9.5) do to the local economy? Scientists currently estimate that there is a 67 percent chance that a quake the size of the Loma Prieta temblor or greater will occur in the San Francisco Bay Area in the next twenty-five years,1 raising the specter of Twitter tweeting its own demise in real time from its headquarters on Market. A Variation on the First Dot-Bomb? During the first dot-bomb, the tech-heavy NASDAQ lost 78 percent of its value. The 2000 collapse followed a period of manic investing when entrepreneurs with off-the-wall ideas and ridiculous or nonexistent business plans sought and received funding from ill-informed investors blinded by the magical aura of the Internet or just simple greed. When the video began to run backward and start-ups in the city shut down like massage parlors during a vice raid, the San Francisco Chronicle ran lists of restaurant closings, and the nightly bacchanal along newly gentrified Valencia Street in the Mission District evaporated like a morning-after dream. Office furniture flooded the secondhand market, with office rentals sometimes featuring a full suite of furniture and even the occasional foosball table. There are longtime residents of the city who think back with nostalgia to the time when advance reservations were required to rent the trucks that ferried the first wave of geek geniuses and their possessions out of The City and back to where they came from. A Variation on the Global Economic Crash of 2008? The economic crash of 2008 was triggered by a rapid decline in real estate values and the collapse of numerous financial institutions associated with subprime mortgage scams. California alone lost a million jobs. Between 2008 and 2011, according to the US Census Bureau, 1,026,572 California homes were foreclosed upon, equal to one in thirteen homes and the residences of 1 million children. Home prices in San Francisco dropped 30 percent. Grant Street and Market Street by Leo vanMunching. The Great Recession had a very different impact on the tech sector in San Francisco. The number of tech jobs dropped at roughly the same rate as the 2000 crash but for a much shorter time and then began to grow at a faster rate, continuing to the present. Why? A quick look at the SFBT list of the fifty largest tech employers shows that nine out of ten were already well established before 2008. Four of them—Dolby Laboratories (1965), Lucasfilm (now owned by Disney, 1971), Adobe Systems (1982), and Autodesk (1982)—were founded before the first tech boom started around 1993. Another group, launched just before or after 2000, were stable enough to succeed while newer companies like Salesforce (1999), Google (1998), Twitter (2006), and Yelp (2004) have taken off like jackrabbits. In an WSJ.D interview (3 January 2014), venture capital guru Marc Andreesen, who insists that there is no tech bubble, points out why companies like these survive and grow while others don’t. His argument doesn’t bode well for start-ups in the dog-eat-dog world of today’s high tech economy or for its workforce. He uses the smartphone as an example of what he suggests is the inexorable drive toward faster economic growth and consolidation. Today, says Andreesen, there are two billion smartphones. Within three years, there will be five billion, and it will be a “world where everyone has a supercomputer in their pocket and everybody’s connected.” When asked by the WSJ if there will be enough demand to fund “two or three or more players in these categories,” Andreesen says, “Generally in tech, the markets are winner take all.” And the losers? Bye-bye! Remember when politicians like former mayors Joe Alioto and Dianne Feinstein, and businessmen like the Bechtels, and the CEOs of the Bank of America, Wells Fargo, the Crocker Bank, Utah Mining and Construction, Castle and Cook (Dole), Standard Oil of California, and other old-guard corporations based in San Francisco used to gas on about The City as the capital of a Pacific Basin economy? You may not, because almost all of those heavyweight corporations are either gone or no longer headquartered in San Francisco. One can trace America’s dreams of Pacific dominion back to the Gold Rush when the Mare Island Naval Base near Vallejo (now decommissioned) was established in 1854 as “the fulcrum of the lever of that power” by which the United States would “maintain its maritime rights and peace upon the vast expanse of the Pacific and Indian Oceans.” Ultimately, maintaining the peace included the annexation of Hawaii (1893), the seizure of the Philippines (1898), and the defeat of Japan in World War II, resulting in the United State’s ascendancy to the position of the imperial power in the Pacific (now challenged by China). In the post-World War II period, San Francisco banks such as Bank of America, local shipping, mining, insurance, and construction companies, and the agribusiness giants that held sway in the Central Valley and dominated the sugar and pineapple crops in Hawaii backed the formulation of a Pacific Rim strategy with the assistance of the Stanford Research Institute. 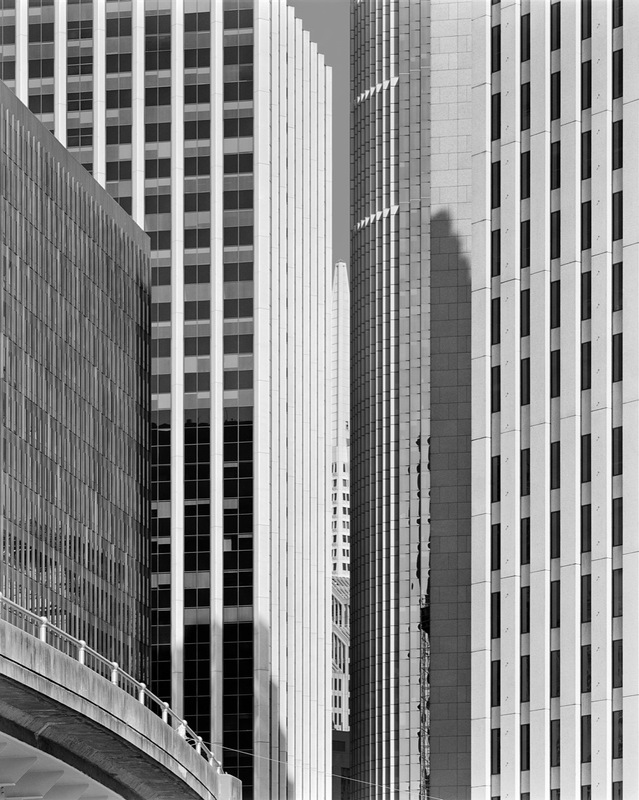 Those same companies redesigned San Francisco’s skyline, lining Market and California streets with bland office towers, building the Moscone Convention Center and creating a Bay Area Regional Transit system to connect their new skyscrapers to bedroom communities in the suburbs. The old generation of big thinkers, most of whom are deceased, played a major role in shaping both the global and Pacific Basin economies until the reality of globalization put an end to their dreams of The City as the pivot of the Pacific Basin. 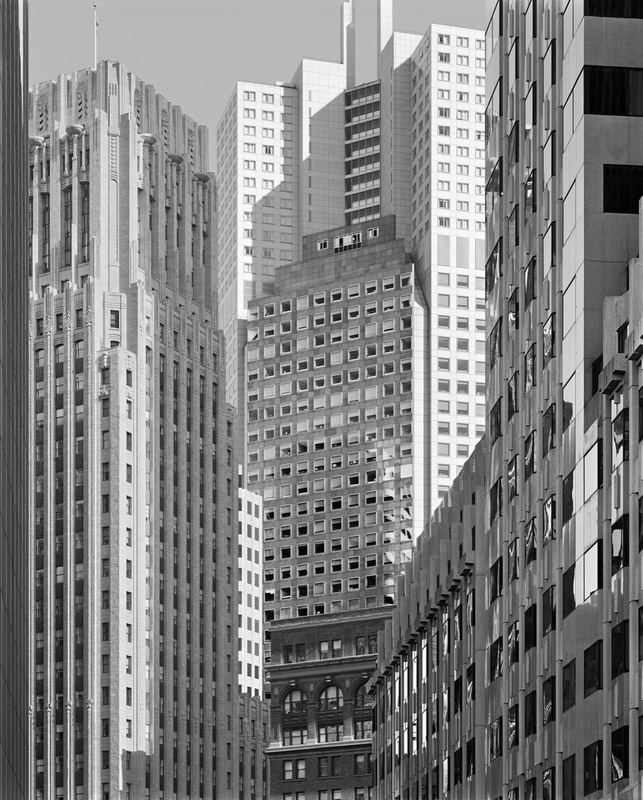 Take the Bank of America, once the largest bank in the world, whose signature office tower on California Street was briefly the tallest west of the Mississippi. In the 1980s, the bank sold its tower to the late Walter Shorenstein, one of the city’s largest property owners and a mega-backer of the Democratic Party. Not long after, it reduced the size of its local workforce and eventually sold out to an obscure bank from North Carolina. Crocker is gone, as are San Francisco-based shipping companies. Utah Mining and Construction are long gone. Dole now lists its headquarters as New Jersey—and rumor has it that Chevron, having relocated its headquarters in phases from a tower on Market Street to the East Bay community of San Ramon, is headed for Texas. Folsom Street and Beale Street by Leo vanMunching. 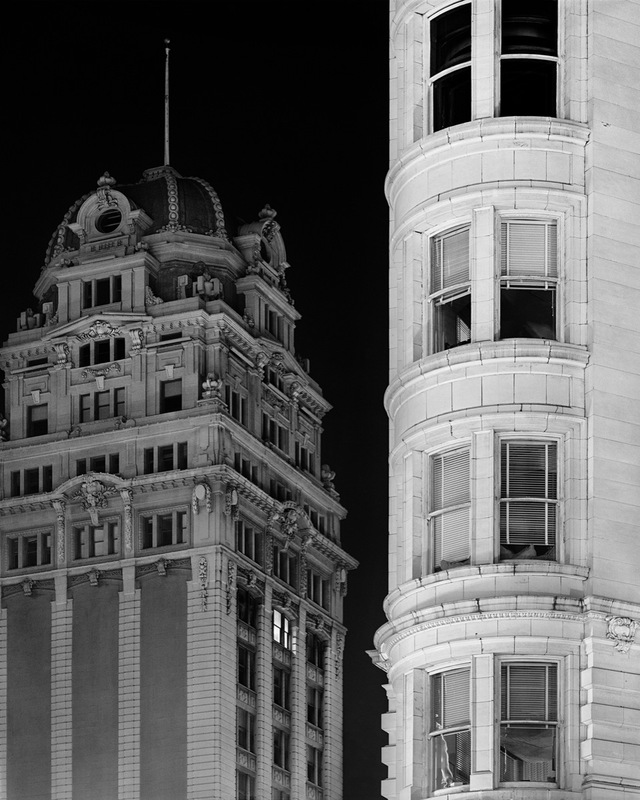 Market Street and Kearny Street by Leo vanMunching. What was once the corporate headquarters of the Pacific Basin is now the future tech city, but perhaps we should consider a very real possibility suggested by the demise of the Pacific Basin headquarters fantasy: as the cost of living in San Francisco becomes more and more outrageous, Andreesen’s winning tech capitalists, faced with significant competition from future tech giants like China, will need to cut costs. Will they relocate staff to Stockton, or maybe Las Vegas—or simply send the work overseas? Housing is cheap in the Central Valley, but the cost of living is even cheaper in India and Vietnam. What of the techno-proletariat, the pampered Google bus riders, and the people we see from our office window in the “cloud” at Third and Market? What happens to them if this really is a boom about to go bust, or if industry concentration follows the Andreesen model, or if big tech simply decides that instead of importing Indian engineers, it’s more expedient to move to India? If recent history is any guide, the winners of this latest round of economic sweepstakes will remain, along with those members of the service class who can scrape together enough money to afford a bed in a room in an apartment with a multitude of other inhabitants. The techie proles will “go back where they came from” or, like tens of thousands of working and middle-class San Franciscans over the last three decades, leave for greener pastures in that other valley to the east, or even further south and east to the Sunbelt cities—wherever the rent is cheap and the weather is easy. 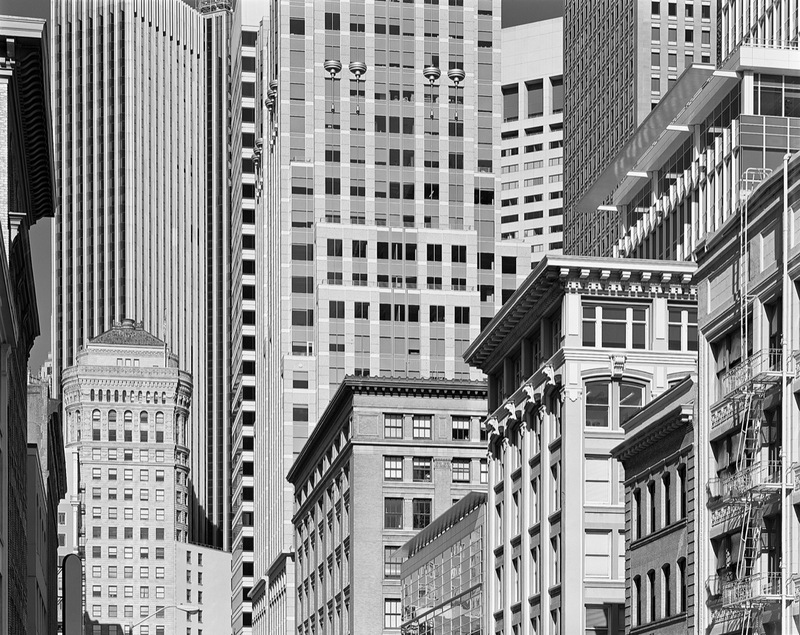 These photographs were originally featured in the exhibition Now That You’re Gone. . .San Francisco Neighborhoods Without Us at SF City Hall, February 25 – May 23, 2014. COURTESY OF THE SAN FRANCISCO ARTS COMMISSION GALLERIES AND LEO VANMUNCHING.